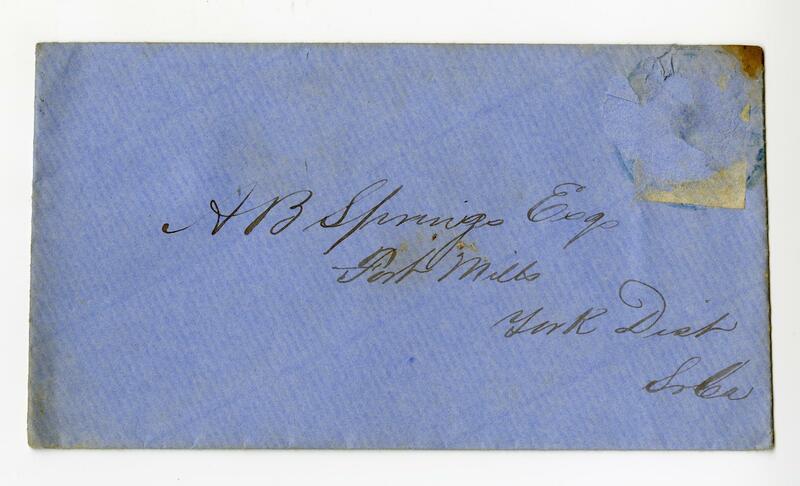 Item Description: Letter dated 11 September 1864 addressed to Andrew Baxter Springs from the Quarter Master General Department in South Carolina. Item Citation: From Folder 140 in Springs Family Papers #4121, Southern Historical Collection, Wilson Library, University of North Carolina at Chapel Hill. I have received yours of the 8th instance in reference to an exchange of cotton goods for cotton card, and have to say in reply that Col Richard Caldwell ? ? General of SC is charged with the distribution and sale of the Cotton Cards made by ? at the State Card Factory. The price fixed for the Card is $12.00 for fair. 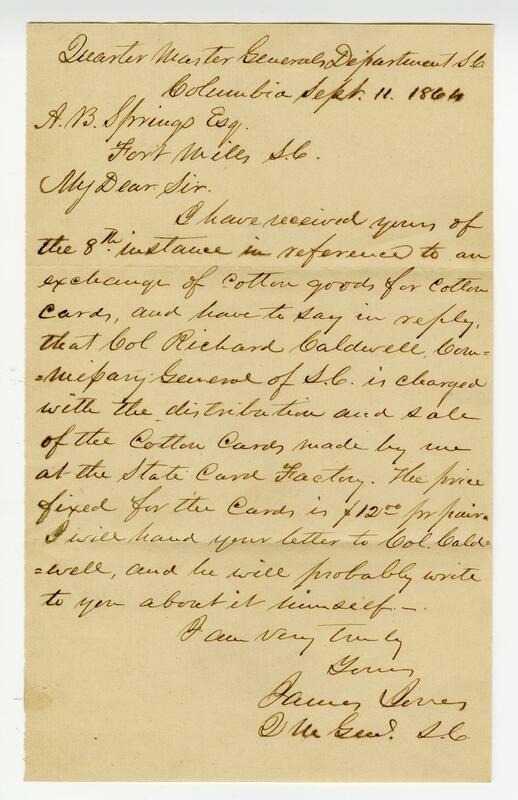 I will hand your letter to Col. Caldwell and he will probably write to you about it himself-. This entry was posted in Southern Historical Collection and tagged Andrew Baxter Springs, Quarter Master General, South Carolina, Spring Family Papers. Bookmark the permalink.